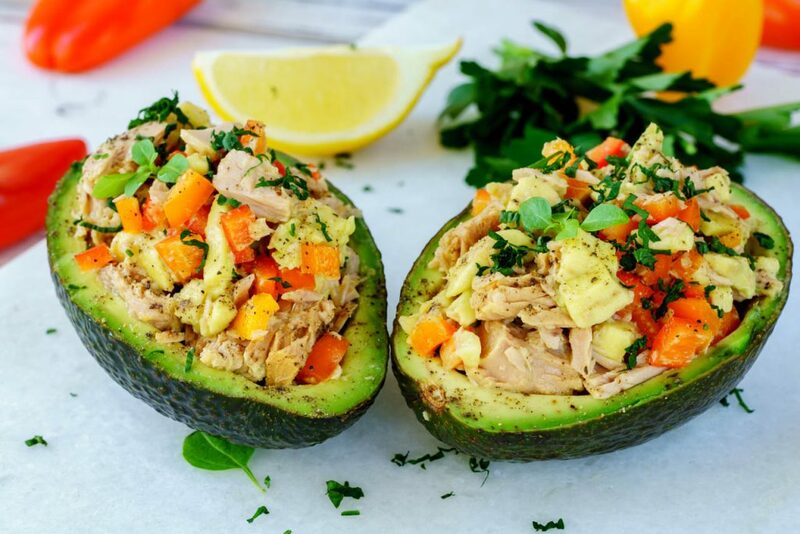 Quick Clean Eating Lunch Idea: Tuna Stuffed Avocado! 1. Scoop out some of the avocado from the pitted area to make sort of a”small bowl”. 2. 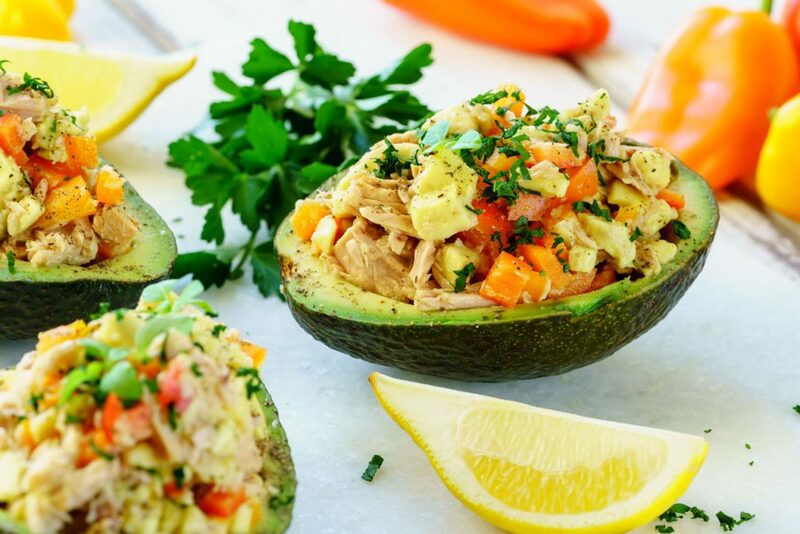 Place the scooped avocado into a medium-size mixing bowl. Mash it with a fork. 3. Add the tuna, bell pepper, jalapeno, and cilantro/parsley to the mixing bowl. 4. Pour lime juice over. Stir it all together until everything is well mixed. 5. 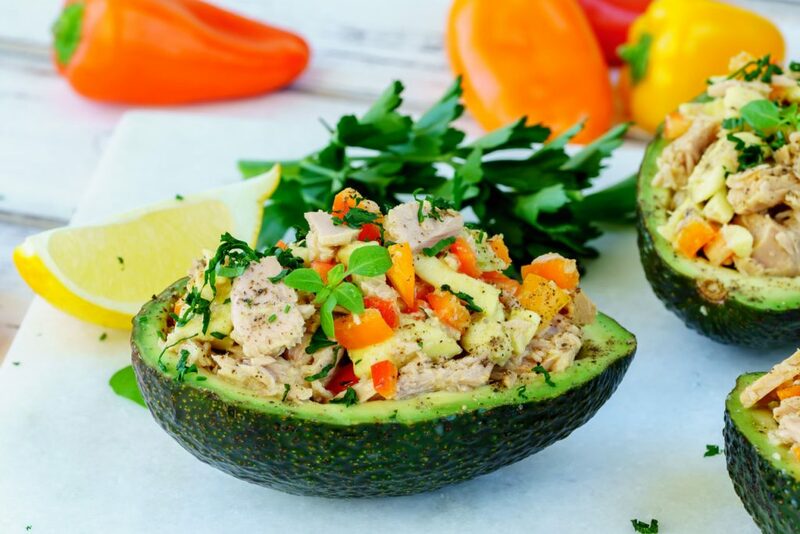 Scoop the tuna into the avocado bowls. 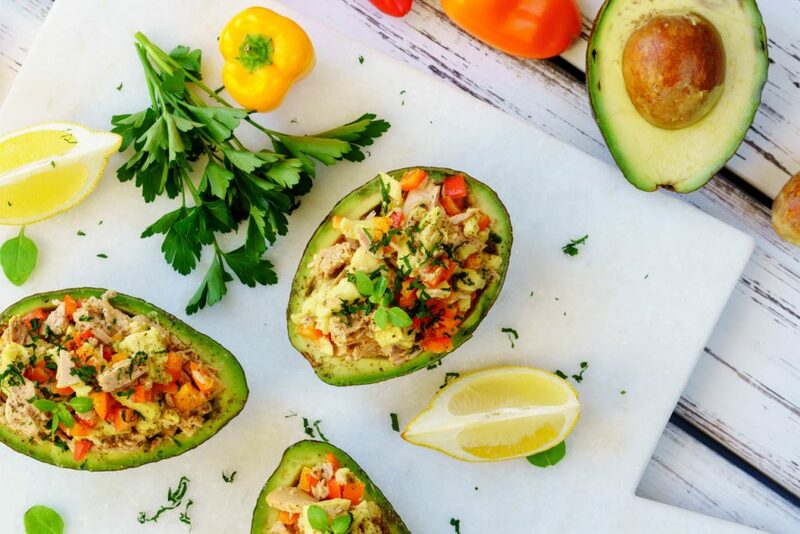 Season with sea salt, pepper, and fresh lime wedges…lunch is on! What a beautiful source of Omega 3’s and minerals, yum! This will fit right into your Clean Eating Plan! 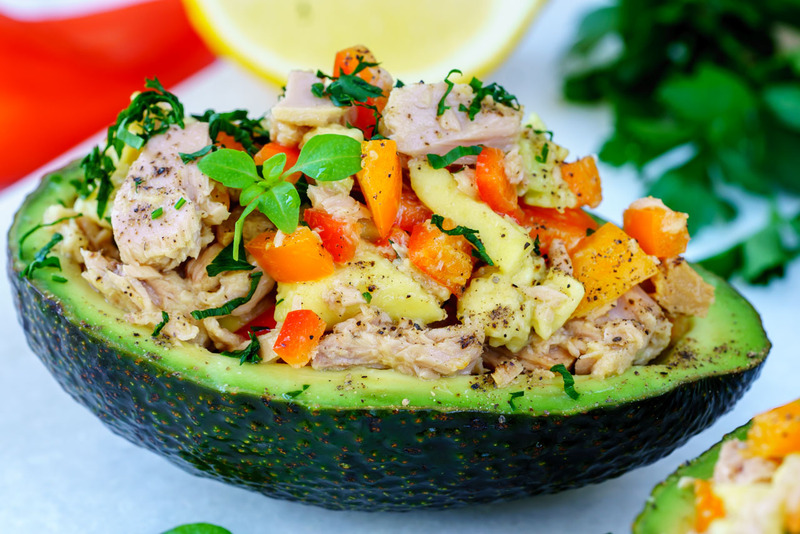 Quick and Clean Lunch Idea: Tuna Stuffed Avocado! Scoop out some of the avocado from the pitted area to make sort of a"small bowl". Add the tuna, bell pepper, jalapeno, and cilantro/parsley to the mixing bowl. 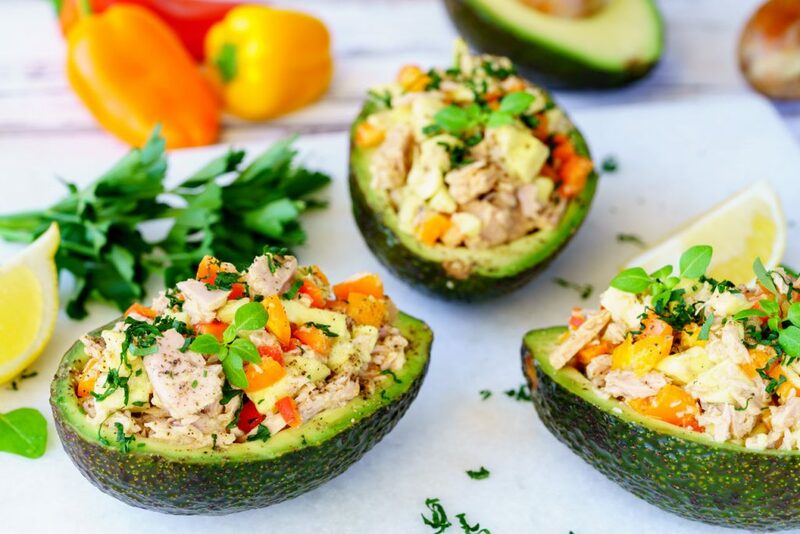 Scoop the tuna into the avocado bowls. Season with sea salt, pepper, and fresh lime wedges...lunch is on!